China’s aggressive behavior in the South China Sea has antagonized a growing number of countries. US leaders say that in the near future, China will be able to project substantial military power in the region. In the April 2016 issue of The Socionomist, Chuck Thompson takes a look at China’s actions and at the potential for conflict with its neighbors as well as the US. Read excerpts from his article below. 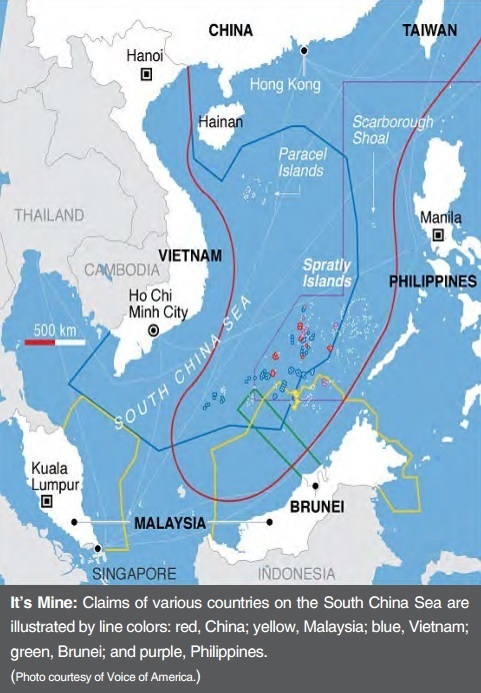 The South China Sea is one of the world’s most contested regions. The body of water is subject to competing territorial claims by China and several other countries in Southeast Asia, including Vietnam, the Philippines, Brunei, Malaysia, Taiwan, and most recently, Indonesia. 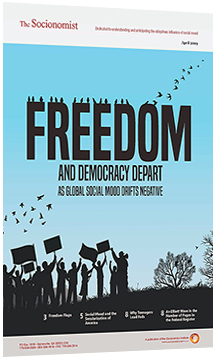 Though social mood is trending positively in many of these nations, a trend toward negative social mood in China, which claims more than 80% of the Sea’s territory, is fueling the potential for serious conflict to erupt. In the rest of this article, Thompson looks at other countries’ responses to China’s actions, including increased defense spending and growing cooperation with the United States. He also discusses China’s aggression toward the US military and its threats to US leaders regarding their involvement in the South China Sea.